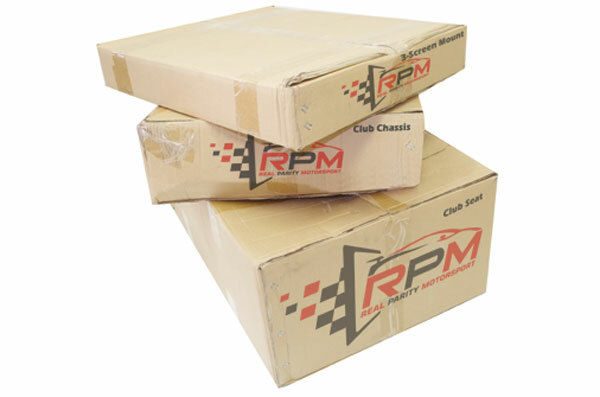 All RPM Club Chassis are heavy duty construction, quick & easy to assemble! 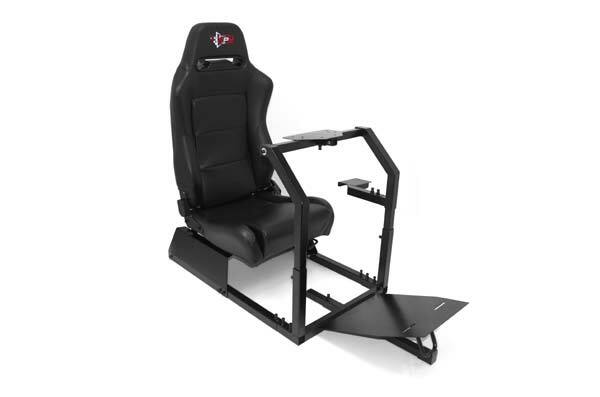 Portable and folding – slide it in front of your big screen TV for an exhilarating racing experience! Includes 1 and 3 screen mount (removable) for immersive racing! RPM Club Chassis modular system allows you to buy your simulator chassis without a screen mount then add one later. Or you can buy it complete with the adjustable 1 to 3 screen mount straight away and enjoy the view! Base unit without screen mount is perfect for the lounge room. 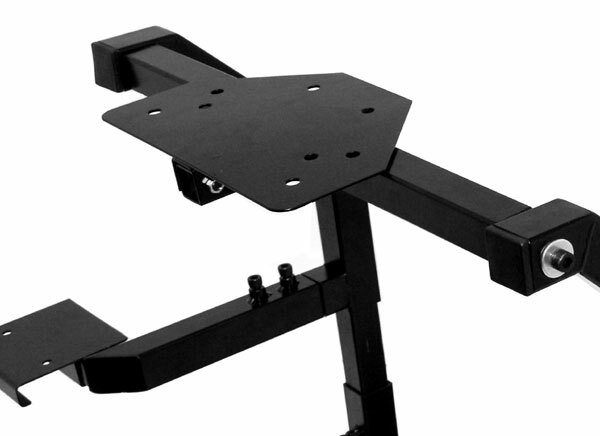 Screen mount provides single or 3-screen mounting options. Modular screen mount can be removed or purchased and installed later as required. 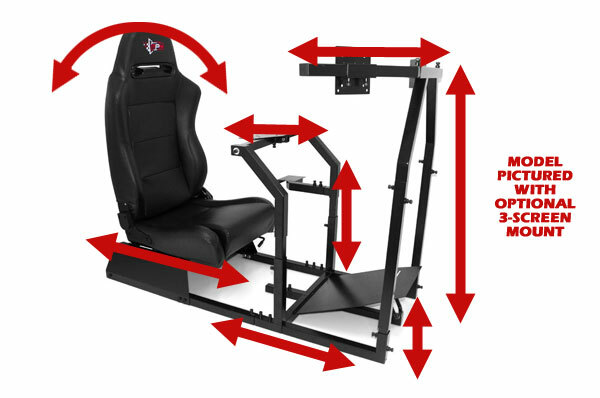 With a dazzling array of adjustments, the RPM Club chassis can be manipulated to suit almost any driver for a comfortable and immersive experience. 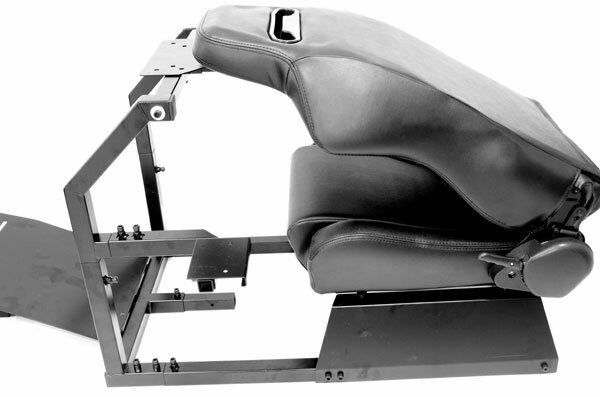 Fully adjustable seat back/forwards & backrest angle. Steering wheel height and screen height (with optional screen mounts). Chassis length & pedal height/angle adjustment. Shifter left or right mountable & with horizontal adjustment. 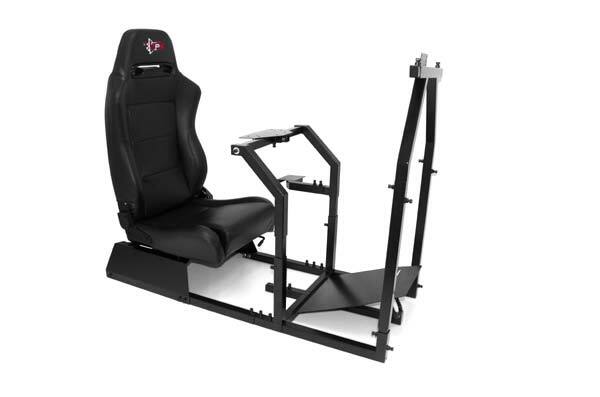 Our RPM Club series chassis has been engineered to provide premium grade strength and rigidity. Quality powder-coated components provide extended life and ensure your chassis gives you years of trouble free operation and excitement. 35mm Square Tubing for Super-High rigidity. High tensile locking bolts reduce loosening from vibration. Flaw-less black powder-coating for premium rust resistance. Strong enough to accommodate high-torque & direct drive steering wheels. 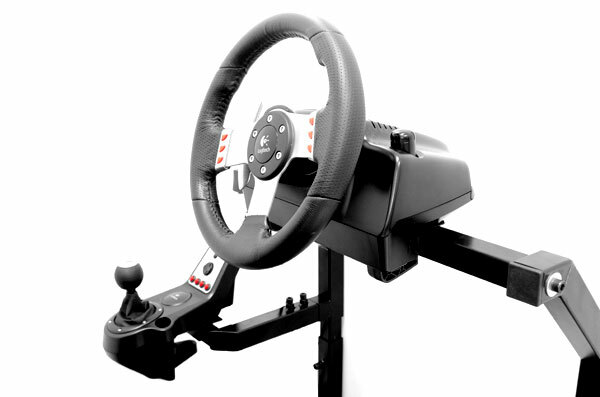 Designed for use with popular steering wheel, pedal and shifter packages so you can get racing right-away! Pre-drilled ready for Logitech G25, G27 & G29. Fits many other popular steering wheel models. 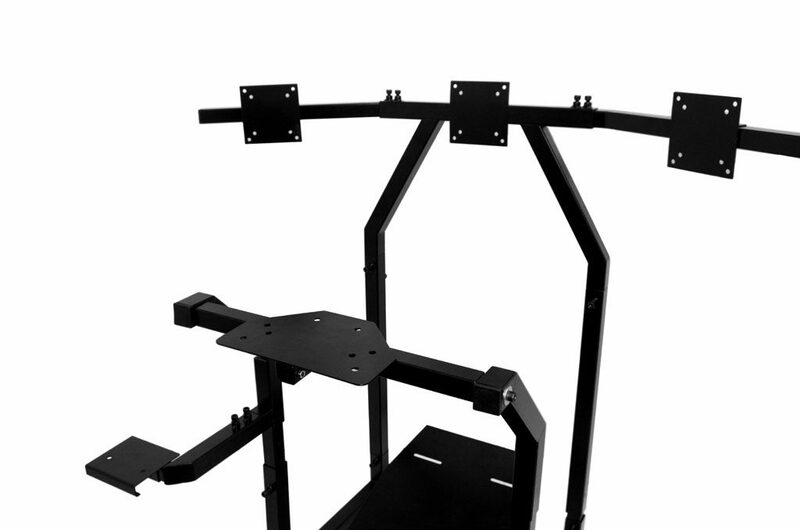 Our RPM Club series chassis has been carefully planned so that it’s fast and easy to assemble. The Club TV model takes around 10-15 minutes to assemble making it a breeze to set up – start racing sooner! 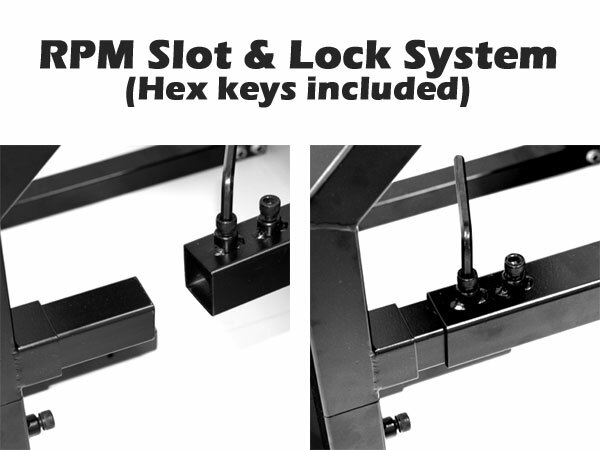 Simple slot & lock system used on the entire frame is fast and easy. Only requires a 10mm and 13mm spanner – all other tools included. Solid double-bolt locking system improves rigidity and strength. The super-small footprint of our chassis means you can stow it away easily then slide it back out ready for racing action! Footprint 90cm Long x 51cm Wide with pedal base removed. Height with folded seat (not including screen mounts) just 67cm. Flat Pack shipped to you safe and fast! Our systems are shipped fast and free by Cut Price Racing.